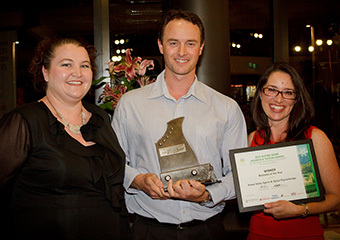 Kiewa Valley Sports & Spinal Physiotherapy scored a major gong for the Kiewa Valley by taking out the Alpine Shire Business & Tourism Awards Business of the Year for 2013. 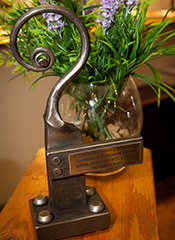 KVSSP also won its category – Excellence in Professional Services and was a finalist in the People’s Choice category. 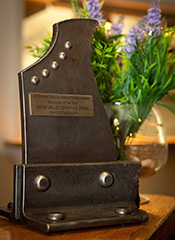 Practice Principal Greg McLennan said “Obviously, we are delighted to have won the overall Business of the Year award. It came as a big surprise for us. We were hopeful of doing well in our category but to win overall came out of the blue. I feel very lucky to have great staff to work with. Fiona, Jodi and Belinda routinely come up with great ideas for new products, services and programs we can offer, and ways in which we can make our practice work more efficiently. So it’s a great reward for the effort we put in. 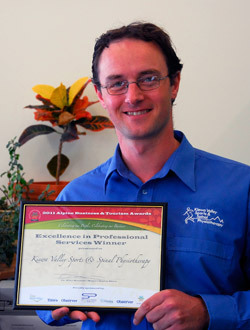 We are delighted to announce that on Saturday 22nd October 2011, Kiewa Valley Sports & Spinal Physiotherapy was judged the winner of the Alpine Shire Business and Tourism Award for 'Excellence in Professional Services'. We would like to thank all of our staff and our loyal clients for making this possible. 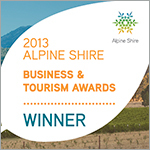 This is an exciting result which follows on from the previous award of 'Best New Business' which was awarded to Kiewa Valley Clinical Pilates at the last Alpine Shire Business and Tourism Awards in 2009. We would also like to congratulate our neighbouring business, Sassy Road, located at 5 Hollonds Street, Mount Beauty, for winning the award for 'Excellence in Retail'.